Boo! October is here and Halloween is quickly approaching. Adults and children across the country are coming up with costume ideas, heading out to buy Halloween candy, and preparing their homes for the festivities on October 31st. While this is the time of year to embrace all things spooky, we know you do not want to end up on a frightening trip to the emergency room. Unfortunately, Halloween costumes can be harmful to your body or can potentially lead to injury. Here are a few things to keep in mind when purchasing or making Halloween costumes to prevent any scary situations from arising. Keep Color in Mind. Try purchasing or designing costumes with brighter colors that can easily be seen by drivers and other pedestrians. Dark-colored outfits can be harder to spot for drivers who are out during trick-or-treating hours. If the costume is darker, attaching reflectors to certain areas of the garment can aid drivers in seeing trick-or-treaters and keep your child safe. Examine Materials. Whether you’re purchasing a costume or making one, it’s crucial to know what materials you’re working with. Make sure the garment is not made of a material your child is allergic to and check to see if the material is fire-retardant. Many houses will be displaying Jack-O-Lanterns, luminaries, and other decorations that can involve fire or hot temperatures that could accidentally start a fire in the wrong circumstances. Makeup & Masks. Costumes will sometimes involve wearing makeup or a mask to complete a look, but it’s important to make sure what you are using is safe. Before applying any makeup, check the ingredients to ensure the product does not contain anything that can cause an allergic reaction. Masks can be simpler, less time-consuming solutions if worn properly and safely. To ensure masks won’t cause a problem, check them for any strange smells or ingredients that could be harmful to your child’s skin. Ask your child if they can see and breathe properly out of the mask and cut larger eye or nose holes if needed. How Does it Fit? Oversized costumes, shoes, or accessories can be potentially dangerous to both children and adults. When wandering around the neighborhood in the dark, it can be easy to overlook cracks in the sidewalk or objects that may cause falls. Make sure any large hats or wigs are secure so they don’t obstruct your child’s vision. 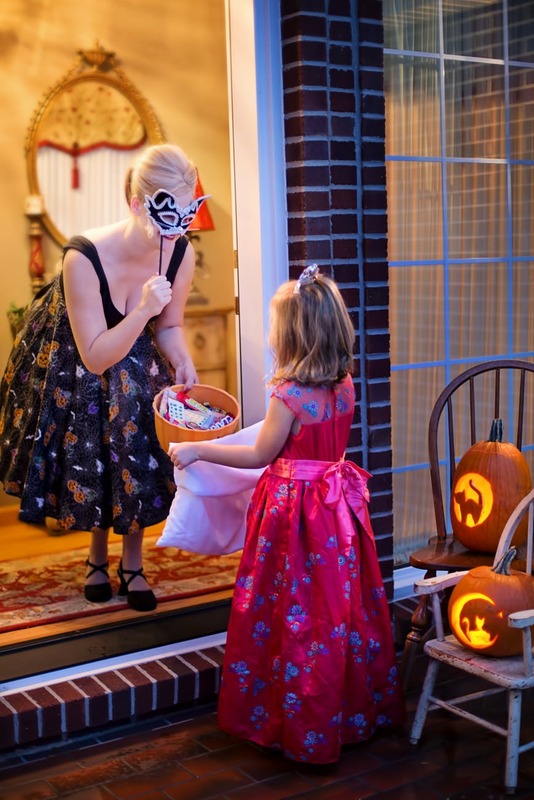 Falls are more likely to occur if a child is wearing something oversized, so make sure they are comfortable and can move around easily without tripping before sending them out trick-or-treating. Halloween is a fun time of year as long as both children and adults are safe. If you have concerns about an allergic reaction from a Halloween costume, potential injuries, or actual injuries, we can help. Our team at Genesis Medical can assist you and answer your questions and ease concerns about safe Halloween costumes for your child. Find your nearest location and contact us today!